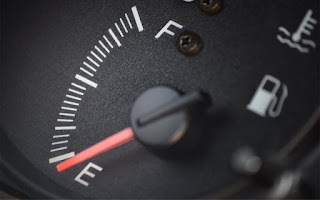 Have you ever driven a car that ran out of fuel/gas before? Maybe not. But have you ever been in one? Okay, maybe it didn’t go that bad. But have you ever been close to running out of fuel/gas, where your gauge was already showing the warning signal? If you’ve not been in any of these situations, then, you are indeed out of this world. Maybe you’ve never ran out of gas while driving a car, but what about emotionally? Spiritually? Financially? Maritally? Psychologically? Have you ever experienced what it means to run on empty? If yes, this piece is for you. It is motivated by a message I listened to recently (Saddleback Church) and some studies I have done around that. The anxiety and fear that comes with running out (or almost running out) of gas can be palpable. It comes with the attendant frustration, blame game (especially if your wife warned your earlier), and unnecessary delays that could have (and should have) been avoided. This is as true for a car as it is for life generally. In our fast-paced world, many people are consistently running out of gas. I realize that this is even becoming the default mode for several people – they only try to refuel when they are almost/ already out of gas. I guarantee you that this is NOT the best way to live. Let me draw a parallel between running out of fuel/gas in your car, and running out of gas in any aspect of your life. It is critical to understand first why people often run out of gas/ fuel and then to highlight the watch outs to prevent it. So, why do people run out of fuel/gas? I know people who are painstaking when it comes to filling up their tanks. They generally have a rule that they follow strictly and that works. For example, some never go beyond half tank before they refill. It’s their strategy to prevent them from ever being in a situation where they are out of gas. I believe it is a good strategy. What strategy have you put in place to refuel on a consistent basis? Starting out your day in God’s presence (in prayer and meditation) is a fantastic way to refuel and stay “full”. Taking time out on a consistent basis to rest/relax is not just a luxury – it is a STOP to “fuel up”. I suggest that you do something special with/to your spouse every single day to refill your love tank. Don’t wait until the warning signals come before you start looking for a filling station. 2. Being too busy to pause and refill. In our busy world, this is a major one. You can face the dilemma of running out of fuel, not because you were lazy or sloppy, but because you were too busy to pause! You’ve got the kids to worry about, rent is there to be paid, family commitments are there, and the list is endless. These legitimate things cause you to be too busy – too busy to pray, too busy to spend time with those you love, too busy to volunteer for a cause. Little wonder that your emotional tank is already on “red” alert. 3. Unaware of hidden leaks that drains the tank. This one is a classic. You can fuel up every day for all you care, if there is a leakage in the system, it is a matter of time before you run out of gas. The wise thing to do is to fix the leakage first and then move on. Ask yourself honestly – what is draining me financially? What are the things I am spending money on that are not really necessary? Why am I emotionally drained? I know of two broad drain pipes that I want to bring your attention to – Responsibilities and Relationships. Be aware. Be on the lookout for relationships that are draining you and avoid them, or fix them. Be sensitive to responsibilities (most of them are legitimate) that are draining your energy and perhaps your time – and causing you to be less than effective. You would need to say NO to these. For some people, it might be things as subtle as watching particular movies, hanging out with particular friends, or devoting time to particular “hobbies”. Do an audit of things that drain you, and have a plan to fix them. You would reduce your chances of running on empty to a great degree. 4. Ignoring the manufacturer’s manual and pushing farther than design. To the best of my knowledge, every car has a fuel capacity, that can be converted into a certain mileage (all things being equal). This capacity and the corresponding mileage is not the prerogative of the car owner. He has no say in this. This is determined by the manufacturer and is contained in the owner’s manual. It is not subject to the interpretation of the car owner. You ignore it at your peril. Let’s assume that it is a 50 litre capacity tank. The manufacturer had stated that this can cover 10 miles for example. You can’t wake up and start plotting how you’ve use the same fuel to cover 15 miles. Either you limit your trip to 10 miles, or you stop to refuel at some point. The reason why a lot of people today are running on empty is because they are not following the manufacturer’s manual for living. They are following their own idea for marriage. They want to run their finances using their personal philosophies. For example, the manufacturer recommends a day of rest after every 6 days of work – and obeyed that recommendation himself. Today, people want to work round the clock (to make more money), without obeying the law of Sabbath. I can predict what will happen sooner than later – you will run out of gas and you would become more frustrated. Take marriage as another example. There are foundational laws, clearly called out by the manufacturer of marriage, that makes it work and enjoyable. You will run out of gas when you are trying to “work” it but in your own way, or on your own terms. Quit trying, and follow the manual. You will thank me for it. To be continued in part 2.....soon.